"The Heart of SARS" updated April 1st, 2018. Lead by example, follow with respect . . . Please note, this compilation of short essays is a work in progress, with all sections still in the development stage of creation, so please check back from time to time for updates. 1. Upon reflection, it appears to me that we emerge into life within the confines of a photon bilayer, sensate with our inner and outer oculars, as nucleic acid based organisms (NABO's). 2. We consume other nucleic acid based organisms to survive, and replicate. 3. We suffer the pain associated with accountable living and suffer the pain associated with responsible parenting because of the effects of survival and replication syndrome (SARS = survival and replication syndrome). 4. There are three types of fear only, fear of hunters, fear of being ourselves, and fear of loosing privileges. 7. Life is its own reward. 8. There is no time like the present. 9. Listen with empathy, act with grace. 10. Be yourself free yourself, be sensible be safe, its your call. 11. Forgiveness: First accept forgiveness, then pass it on. 12. Honor thy Father and thy Mother. 13. Life is the breath of God, and the mirror of illusion reflects us all, so far. 14. Ashes to ashes, dust to dust, if God won't take you, the Devil must. 15. The further we climb up the Ivory Tower, the closer to the septic tank we find ourselves. 16. The pen is mightier than the sword, never surrender your ink. 17. Wake up Canada, defend Democracy. 18. Evolution: Is always changing. 19. If you can help someone along the way, then your life will not have been in vain. 20. We are community, emerging in the spirit of the moment and the equation for global community = k/x (knowledge / population). 21. How on Earth everything got started is still a mystery. 22. Adopt an attitude until it becomes a habit, and with a bit of work and a bit of luck, a person may develop a new way of life. 24. Thou shalt not bear false witness against thy neighbour, its so yesterday. 25. If you have nothing to hide, you have nothing to fear. 26. What God has joined together, no Man will tear asunder. 27. You've got to keep the Devil down in the hole. 29. Music paints all paths the same colour and all colours the same path. 30.The Art of Reconciliation: First identify the truth, then compromise. 31. The Art of Love: First you take her, then you hold her. The Heart of SARS: 1.Upon reflection, it appears to me that we emerge into life within the confines of a photon bilayer, sensate with our inner and outer oculars, as nucleic acid based organisms (NABO's). The dawn of this new perspective meets with both excitement and dread, I'd say? What will be lost? What will be gained? What will remain the same? We can observe from the phylogenetic tree of life that we're all connected, be it our structure or our function, and the fact that we're human rather than something else on the planet is a blessing many of us have not fully realized yet? Where do we go from here you may well be asking yourself? What has changed in addition to how we appear today as compared to yesterday? Ho do we feel about ourselves as nucleic acid based organisms? At this point it may appear to you as it does to me that NABOs emerge on the quantum scale much deeper than the overt level, however, we don't appear to exist deeper than the nucleic acid level, so to speak? The Heart of SARS: 2. We consume other nucleic acid based organisms to survive, and replicate. For whatever apparent reason, we are born into a family, which often times changes during the course of our lives, and includes kin, friends and acquaintances. These are what we may call our biological influences. We are also born into an environment which beckons towards the future, albeit full of memories of the past. These influences are what are called our environmental stimuli. Not only do we appear to find ourselves juxtaposed at these two poles, guided by our own moral compass, identifying who we are in the World by the impression we create, but we are also faced with two options moving ahead. 1. To kill ourselves, or something else, before something kills us (Clonal Deletion Theory) or 2. We're realized, humanized, amortized and infinitized in a democracy or dirigisme. As we recreate ourselves every day, combining our resources in Art, Science, Practice, Experience, Knowledge, Technology and Beliefs, or ASPEKT-B, we must not only brace ourselves for the World as we try to be ourselves in this World of socio-economic disparity, such as it is, still, but we must also come to terms with our three options on any issue, acceptance, veto or compromise, leading towards a homeostatic symbiosis or peace, order and good governance, to use everyday terms. How we exercise these options will be dependant not only upon our lineage but also on our potential to lead, among other things. The Heart of SARS: 3. We suffer the pain associated with accountable living and suffer the pain associated with responsible parenting because of the effects of survival and replication syndrome (SARS = survival and replication syndrome). At this cultural intersectionality, described by Wikipedia as, "an overlap of cultural identities," ordinary people are still being cast into cultural groups based upon gender, race, class, ability, sexual orientation, religion, age, nationality and more, especially when they apply for jobs, apply for a bank loan, apply for travel visas, search for a partner or simply finding peace with the World in other ways. So, with a view to reconciling this overlap, here is the platform for the differences between Good, Bad and Ugly behaviour. "Break all the rules within the Law" is how I describe good behaviour, the Law comprising of both Natural and Human laws. Bad behaviour is not only discouraged by demonstrating and rewarding good behaviour, but also by deterring refusal to comply with the Law, by using a range of measures all the way from disciplinary to grave. Ugly behaviour leads to loss of privilege(s), and requires reconciliation with the truth. Upon reconciliation, retraining, reintegration and reemployment usually follow, thus preventing regression, retaliation, rebellion, and reset of the status quo. We still find apparent breakdowns in good governance and comportment, or albedo, based upon what we were taught and what we've learned through experience to be observable everywhere we go; and that's why we have the police. The Heart of SARS: 4. There are three types of fear only, fear of hunters, fear of being ourselves, and fear of loosing privileges. As nucleic acid based organisms (NABOs), we are probably controlled by fear, which takes on three forms only. 1. Fear of being caught out for doing something naughty. 2. Fear of attack by predators. 3. Fear of being ourselves. If Life = Realized, Humanized, Amortized, Euthanized, Infinitized, where "infinitized = beyond reductionism" broadly speaking, then this illustration describes that pathway towards life, I'd say? The plants, animals and the remainder of mankind are probably going through this same adaptive processes with the World they find themselves in as we are? The Heart of SARS: 5. Truth is. Truth is what is evident beyond dispute to all parties involved in the discovery. For example, an apple tree is called an apple tree when apples are evident upon the branches. Also, an apple tree may be evident as a sapling, even as a specific kind of apple tree, beyond dispute, by using DNA testing, even when the sapling appears the same as all other saplings. This is just one example of the advances the molecular age will leave us with. Its also become evident that our structure and how we function isn't entirely dependent upon our genes. Different cultures from around the World have similar body movements, yet these body movements relay a different message to different people, depending upon their country or origin. 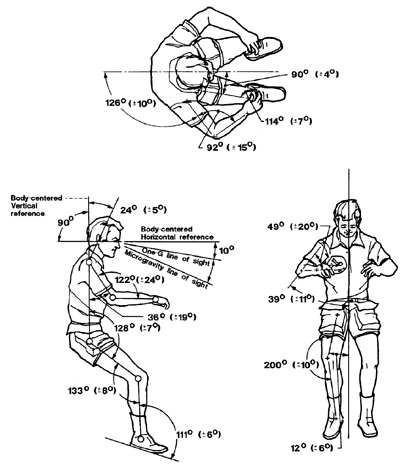 NASA has discovered the human body's neutral position in microgravity during flights in Skylab, so presumably our movements outside of this neutral position are for the purpose of survival and replication? The Heart of SARS: 6. Money talks. For over 5,000,000 Canadians approaching retirement or already retired, and for the billions of people around the World who are either retired or under employed and poor, I have an update for you, "Doing nothing isn't fun." As well, many retirees find themselves abandoned in nursing homes and left to do nothing because the money isn't there to put in proper community building infrastructure. Its been my experience that revitalizing music helps to bring people back into the 'present moment' so to speak. I know, I've got 15 years experience at that. Also, person to person contact revitalizes people, a trait probably dating back to our primordial ancestors. So what direction does that point to for the remainder of us as we approach retirement, apart from becoming musicians and volunteering to entertain more or simply reaching out to other people? That's up to you and I to decide, I'd say? The Heart of SARS: 7. Life is its own reward. I was just thinking to myself, "What does it profit a man if he gains the whole world, yet suffers the loss of his own soul?" when it occurred to me, "Some days more than others." It also seems that the more we put into life the more we can draw from our resources. I discovered from reading my Biology Text book published in 1977, that photosynthesis is one of the bridges between the inorganic and organic worlds, where the sun is turned into sugar, among other things. As well, the simple research method for detecting single variable or X-factor measurements for growing seeds in the light or dark was also explained. It turns out that for proper growth, additional variables like humidity, barometric pressure, nutrition, specific light wavelengths and duration of darkness for optimum growth and heat are also required. All I can say is if they're teaching this to grade 10 students, what are they teaching in university, today, never mind 40 years ago? Anyway, in my own neighbourhood, the Crows are chasing the Robins and smaller birds away again. Balancing the pecking order in their hunting territory I'd say? On a similar note, I had the opportunity to follow a young Crow as it found its wings, so to speak. Both the Robin and I gave it a good looking at when it was vulnerable, on the ground and unable to fly, but then one of the parents came by to see that it was OK. To compound the problem, after about three weeks while the Crow was still learning to fly, someone who recently moved into the neighbourhood appears to have made a habit out of letting their cat out, creating an unfair advantage for the wild animals which have adapted to the urban jungle, so to speak. The latest update is that the Crow is now able to reach the high branches of the neighbourhood trees, and appears safe with its parents. The Heart of SARS: 8. There is no time like the present. The World population has more than doubled to over 7,000,000,000 from 3,000,000,000 in the past 50 years or so, yet people are still reluctant to get tested to see if their children will be at odds with the World they're born into. Basic Medical Research has unearthed screening techniques for a host of congenital birth defects, yet people still don't want to take the test before they have kids? Why is that I wonder? All I know is that apart from tracing your lineage back to Adam and Eve, so to speak, anyone can get tested to see if they are going to have a child that is born handicapped in some way that they can't afford. Drugs and alcohol can lead to handicaps too in the children of selfish parents. The Heart of SARS: 9. Listen with empathy, act with grace. It's too much, what I'm calling "Talking Plastic" that appears to be the root cause of the problem of aging alone, depressed, abandoned, scared and dying surrounded by strangers, be that TV, video games, hand held devices of one description or another at work? The world has turned to talking plastic for answers and forgotten the human element of life. Connecting the aged through talking plastic is a great idea, for example, using technology like skype or the telephone is fantastic; passive connectivity isn't I'd say? By the way, I've discovered a set list of revitalizing songs for the elderly if you'd like to test my hypothesis and host a sing-a-long (I've even got some recordings as proof too, lol)? Anyway, the birds are presenting me with a chorus of bird song as I write this, and its my opinion that music emanates through bird and animal sounds, as well as human sounds, and that humans incorporate many bird and animal tones into their vocabulary. The Heart of SARS: 10. Be yourself free yourself, be sensible be safe, its your call. Meiosis-like evolution of nucleic acids from a quantum perspective; please think about the shape of a Canadian football? Imagine that you are sitting at the core of the Universe, or one of the pointed ends of the Canadian football, when all of a sudden some astral projectile fibre-like things shoot out into the remainder of the Universe and end up appearing like parachutes or kites, at about the middle of the Canadian football. Now imagine that someone sitting at the opposite pointed end of the Canadian football notices this and sends some 'pressure' back towards you to maintain the parachutes or kites where they are? A pressure differential or pressure gradient will be formed between the two polar extremes of the Canadian football, with the region of greatest pressure adjacent to you and the region of least pressure nearest the other person at the other pole of the Canadian football. The parachutes and kites appear to be fixed at a specific pressure region, and are thus 'banded' and 'branded' at this region, so to speak. Other gradients appear to fix the parachutes and kites at their specific regions too, for example, temperature, environmental conditions for normal functioning, parachute and kite concentrations, water concentration, among other things. Anyway, all you need do now is imagine that the parachutes and kites are nucleic acids, and the basis for life as we know it. One pole of the Canadian football is the core of the atom while the other pole of the Canadian football represents the overt World as we know it today, and now you have a quantum perspective of how life evolves on planet Earth, in my opinion? The Heart of SARS: 11. Forgiveness: First accept forgiveness, then pass it on. History is full of unforgivable crimes, so how can we accept forgiveness then pass it on, I ask you? Not easily, if at all, and that's pretty much the state of the World these days, unforgiving. Attenuating or softening our position on issues moving towards a consensus isn't easy, and forgiving our aggressors is even more difficult, especially when we're a few pieces short of a complete picture. But if we can do it then maybe others can too, and that's a start. So how do peace, order and good governance emerge in structured societies? Once again the answer is, not easily if at all, and if we take a look at mainstream news, we experience the effects of war and unrest visually and audibly although not physically. The question that needs to be answered now is, "How does anyone assume a leadership role with a view to demonstrating peace, order and good governance, as well as forgiveness? Where in the World do we see these attributes exemplified?" Apart from the home environment and the classroom at schools, these attributes seem to get lost once people get free reign over their own options, without thinking of the downside of their actions; poor planning leads to bad situations basically. The Heart of SARS: 12. Honor thy Father and thy Mother. "My father was a soldier, my mother was a teacher, but lets face it, how many of us have ancestors who weren't?" Some days we're obliged to take a more anthropological look at the World than others. I learned almost all of what I know about life from my mother, and as much about Man from my father as I could, before he died when I was nine years of age. So what is Mankind? A golem? A product of recycled information? Someone who follows instructions meticulously? Someone who works 16 hours per day, 364 days of the year, but only 12 hours on Christmas day? I don't know anymore, I've seen it all and done a little bit of work myself? Yet still for the life of me I can't figure out what Mankind is supposed to be? So I'm going to leave it up to you to figure out, I've seen plenty either in real time, books or movies and the like. The Heart of SARS: 13. Life is the breath of God, and the mirror of illusion reflects us all, so far. I've previously mentioned photosynthesis as being one of the bridges between the inorganic and organic worlds, where the sun turns into sugar, among other things. Other people tell of different ways on how it all got started. Either way, whether you choose the smoke and mirrors trail of broken dreams or accept a more scientific explanation of life, the phrase needs some explanation. I know the biology text book I'm reading is old, they're still talking about some Russian scientist from 80 years ago, A. I. Oparin, and how amino acids, sugars and even DNA were being formed from inorganic materials, much like Jean Lamarck predicted in 1801. Even if we fast forward to today, we're still only a little closer to understanding how these life forming events turn into life. Mind you, the show has been on the road for billions of years, so its likely the answer isn't too far off, I'd say? The Heart of SARS: 14. Ashes to ashes, dust to dust, if God won't take you, the Devil must. 0137310 pretty well puts that into numbers, and on an appropriate day in the month too, hump day. We all know the Humpty Dumpty story so enough said on that one except, how do you like your eggs, easy over or sunny side up? It appears from the literature that we began to evolve as creatures long before we emerged as Homo sapiens. Since the Big Bang, estimated by research scientists to have occurred approximately 14 billion years ago, life has evolved from sub atomic particles including the electron and the photon to become the World of nucleic acid based organisms we experience today. Our kinemas, or our smallest units of meaningful behaviour, are dependant upon our structure and how able we are to function within our environments. However, these kinemas, for example facial gestures, have not been found to have the same universal meaning. These behaviours will determine how well we fit in with our communities, however, it's been noted that ethnocentrism plays a role in whether we accept or reject someone into our communities. The Heart of SARS: 15. The further we climb up the Ivory Tower, the closer to the septic tank we find ourselves. Irrespective of where on the global, Kallikak socio-economic scheme of things we believe ourselves to be, I'd say we're not at the top, any of us? Mind you, from an innate rather than a sensate perspective, it certainly appears to me as if many of us believe we are, shall I say, on top of someone else, so to speak. So how do we, nucleic acid based organisms (NABOs), normally called humans, focus into a region of the natural and socioeconomic perspectives of life, with a view to symbiosis in the global community? Firstly, I'd say we need to contend with what we've got to contend with, every day, as 7,500,000,000 humans and all the other NABOs around the globe awake from their slumbers, or the equivalent, and seize the day, or seize the moment if they're running for their lives, like Lieutenant-General Rom�o Antonius Dallaire talks about in his book, "Shake Hands with the Devil." The title's enough to give anyone the shivers. Its about a brutally efficient genocide that lasted 100 days and led to the murder of 800,000 Tutsi, Hutu moderates and Twa, and caused over two million people to be displaced internally or in neighbouring countries? You probably never heard of it, it ended in the last century in 1994, though recrimination, retribution, and criminal prosecutions continue to the present day . . .
Then I'd say we've got to look for a common denominator for all nucleic acid based organisms, with a view to survival, replication, and responsible and accountable, symbiotic living. Then finally we've got to figure out the lifelong learning strategies and the associated financial burdens required to include everyone who appears overtly to reside on the lower end of the Kallikac socio-economic scale, and work towards an accord, like a Two Row Wampum between indigenous populations and immigrants around the world, so to speak, and start the restoration and recovery of friendly relations? And just keep working at it? The Heart of SARS: 16. The pen is mightier than the sword, never surrender your ink. If the endeavor into the unknown is to discover what we're made of at all times, "When are we as a species going to begin applying what we've learned?" Well the answer to that question isn't difficult to determine, "Not in the near future, I'd say." Much of what we've learned isn't being applied for any number of reasons, notably among these reasons is money. New discoveries cost money, even though the new discoveries are built upon previous discoveries, published in the literature throughout time, and deposited in libraries for all to read. However, it seems a 'pay per view' option has been applied to knowledge, and we pay either physically, emotionally or financially as these discoveries are put to good use, depending upon which rung of the socioeconomic ladder we find ourselves, in my opinion? If you are reading this blog, then you, like me, are probably on the lower rungs of the socioeconomic ladder by Canadian standards for one or all the costs of SARS or survival and replication syndrome? eBooks are becoming increasingly popular among readers of all ages except the elderly, who aren't connected via social media by either letter writing (texting) or otherwise. Simply reading a book out loud or a letter from a distant, long lost friend or family member can revitalize and reconnect loved ones. Sadly, some elderly people can't read and write anymore because of glaucoma and arthritis or something like that, and these are the people who can be reconnected via volunteers, interfacing between the devil and the deep blue sea, so to speak. Reading out loud and letter writing, or texting, doesn't sound like a very effective way to connect and interact, however, if we break communication down to its fundamental elements, we find reading and writing, or texting, are very popular ways to communicate. Extending our abilities to those less able to communicate opens up doors to communication avenues that may well have been closed for some time. When we re-open these avenues, nothing but the reward of our labor is enjoyed, as we delight in the smiles of those who were previously alone. The Heart of SARS: 17. Wake up Canada, defend Democracy. 1. People air their thoughts with intelligent freedom upon issues. 2. A consensus or reconciliation is formed upon the issue by as many people involved with the issue as possible under the circumstances. 3. The 'Affects' of the consensus are Policed (somehow) for Good, Bad or Ugly 'Effects' that emerge in society as a result of the reconciliation, and a determination is made upon how to correct the ugly effects moving ahead. The Heart of SARS: 18. Evolution: Is always changing. It's evident that there's a lot more on the menu today than when Adam and Eve first logged onto the internet, but is any of it worth repeating? Why we need to search outer space or cyberspace I'll never know when a few days ago I read with interest that right hear on Earth, some bacteria have been discovered that aren't dependent upon the same nutrients and energy sources that most other organisms we are aware of depend upon to survive? Aliens on Earth if you like, lol. It doesn't seem that long ago that photosynthesis and chemosynthesis were believed to be the bridges between the inorganic world and the organic world. Nowadays it appears that even more 'life' forms are being discovered that don't appear to use the Sun directly for energy. How they will integrate into the World remains to be determined, however, I'm sure they'll do fine with or without us? Anyway, none of the bacteria I've read about to date play musical instruments, nor do they contribute to the health of players of 'wind' instruments, for example, the bagpipes. Apparently, just last year, a 61-year-old man developed "bagpipe lung" from fungi growing within his bagpipes, and died just a month after he was hospitalized for his fatal lung infection, according to a recent report in the journal Thorax. Not many people share harmonicas or other wind instruments either for similar reasons. The Heart of SARS: 19. If you can help someone along the way, then your life will not have been in vain. A lot of people find themselves in the quicksand of a broken social system. Sinking one way or another because someone omitted to set up a safety net, so to speak. That's when our 'good Samaritan' gene kicks in, I'd say, and we turn our minds to the more difficult of life's problems, poverty and wretchedness-like appearance, and wonder, "How can we improve this appearance?" With so many different cultures from around the World merging at our current cultural intersectionality, how do we determine who to help and who not to help? How can we tell who is in need of our help given that all human beings are subject to Circadian rhythms of life, as well as the need to survive and replicate? As we age, our abilities to recognize vulnerable people becomes sharper, I'd say. For example, lets say an elderly person moves from one location where their community of friends were supportive and nurturing to another community where they have no immediate friends or family. How can we entrain this person to gradually fall into synchronicity with the new environment? There is no end to volunteering if we look for it. Someone always needs help, whether it be emotional, intellectual or physical help, and the need for volunteers will always be in high demand. The toll on volunteers is high too, always giving and not getting time to recharge the batteries can bring down even the most caring of volunteers. That's why it's important to take regular breaks, or to change from one kind of volunteer activity to another. The Heart of SARS: 20. We are community, emerging in the spirit of the moment (see the equation for global community below). Let "x" = the number of nucleic acid based organisms on the surface of the Earth at this precise moment in time. Let "k" = the cumulative knowledge from all time, gathered from the lives of all nucleic acid based organisms, what they were taught, what they learned through experience, and how they would prefer their legacy to be engraved on mankind's final tombstone. The Heart of SARS: 21. How on Earth everything got started is still a mystery. How everything got started precisely may remain as a mystery for some time to all of us, although it appears the beginnings of life emerged from gravitational forces, weak forces, strong forces and electromagnetic forces approximately 14 billion years ago. Single cell life emerged approximately 4 billion years ago, multicellular life approximately 1 billion years ago and Homo sapiens as we know them today approximately 200,000 years ago. How things work today isn't a mystery, we survive and replicate. A lot of theories appear to emerge into one salient hypothesis, "Is it simply an intersection between quanta and waves all down to the Planck scale of things, so to speak, or is there something else that got everything from where it all seems to emanate at first to where it is today?" The Heart of SARS: 22. Adopt an attitude until it becomes a habit, and with a bit of work and a bit of luck, a person may develop a new way of life. So whose attitude is the best to adopt? Or should we read, "Whose attitude is the best to adopt in 2017 and moving ahead in life?" There are so many to choose from, as noted on TV, and the streets are full of people with attitude, where do we start? Our attitudes take shape from the moment we are born. Finding ways to get our needs met, we move from one attitude to another, sometimes biting into other people as easily as we bite into our food. As we age and move into the cultural intersectionality that is called life, we need to adopt more attitudes to get by, given the variability in global populations. Fortunately we're not the first population to experience a cultural intersectionality head on, so there are plenty of books in the libraries describing how to 'get along,' just in case people ever get back to going to libraries again. Whatever we learn will nevertheless lead us to become ourselves eventually, a mix of Art, Science, Practice, Experience, Knowledge, Technology and Beliefs, or ASPEKT-B, or not. The Heart of SARS: 23. Death Before Dishonor. The environment shouldn't drive a person towards suicide. However, Winnipeg, like most cities does that, and we all know what that means? If someone suspects the environment is responsible for the suicide attempts of young and old disenfranchised people alike, then its time to apply the 4-step rule to see what's going on, I'd say? There are good, bad and ugly examples of lifestyles everywhere, and it's the ugly environmental stimuli that need repaired. This is going on all the time with the various 'Security Services' around the World as they work towards making the World a safer place than it was before. We play our parts by complying with rules and regulations, ensuring we're not defying the rules and regulations and that these rules and regulations are applied non-discriminately to the population in general. This way we ensure we're not participating in anything dishonorable. When we find ourselves in conflict with society because the rules and regulations don't appear to be fair, then suicide shouldn't be our only option to defend ourselves; it doesn't make sense? Policies are derived from previous 'sticking points' so when new policies need to be developed, as indicated by increasing suicides or suicide attempts in the community, then something needs to be done to fix the policies or a new policy committee needs to be elected in my view? The Heart of SARS: 24. Thou shalt not bear false witness against thy neighbour, its so yesterday. Appearances create a lot of confusion at this cultural intersectionality that we call life, I'd say? So, how have appearances emerged to play such an important role in our society when it comes to determining employability in today's Cyber world of humans being human, suffering from not only the affects of SARS, but also from the effects of SARS? And where does 'cloning' or 'caste-typing' fit into that, just now, what with all the carry-on in healthcare and the government, as well as the ability and will of our protective personnel to maintain peace, order and good governance in Canada and elsewhere? I don't know the answer to that, however, I believe I have a template to employ strategies to monitor not only the Good behaviours in our homes and communities, but also the so called Bad and Ugly behaviours that vex and shatter the lives of ordinary people suffering SARS. Once a consensus or reconciliation is formed upon what is Good for a community about an "issue," then the 'Affects' of the consensus are Policed (somehow) for Good, Bad or Ugly 'Effects' that emerge as a result of the reconciliation moving ahead. Bad effects are typically remedied by encouraging Re-integration, Re-training and Re-employment strategies, whereas Ugly effects, following the same practices, leads to Regression, Retaliation, Rebellion and possible Reset of the equilibrium if a remedy isn't discovered, I'd say? I don't know, I've never been down that road before . . . The Heart of SARS: 25. If you have nothing to hide, you have nothing to fear. Dirty laundry is everyone's concern, we all have some I'm guessing? It's equally likely there's nothing been done that hasn't been done before. Maybe not precisely the same way, but similar; I believe there's an audio recording somewhere to support that notion? So what have we, as a species like every other species on the planet, got to hide from each other, especially these days on the Internet? Hardly anything is left I'd say; what isn't known? We've blown the doors of privacy according to mainstream media reporting, Hackers and whatnot, so basically nothing is sacred anymore. So where does that leave us today? Moving ahead cautiously is probably the most reasonable outcome? Protecting ourselves somehow when we feel like our next move will completely expose our vulnerabilities to the World. This way we can ensure our exposed position won't completely throw us to the wolves, so to speak. And that's about all we can do. The Heart of SARS: 26. What God has joined together, no Man will tear asunder. Apart from just not being here anymore, how many of us know, or inquire about death or the process of dying? Euthanasia, or assisted suicide is available for pets all across Canada, so why isn't the option available equally to humans? Apart from the fact many of us aren't quite there yet, the notion of choosing death as the best option sometimes puts an expression of bewilderment on the face of the inquisitor more so than the person choosing that option, for example, in the event of some unforeseen, yet possible turn of events coming about? There are some situations I've seen people in where I can tell you without a word of a lie that if I end up like that then you have my permission to euthanize me using blunt force trauma if need be, because I've seen some states not fit for a beast to live in, never mind a human. On the other hand, I've seen some beautiful, community orientated environments where a community would know what's best; it's that simple to determine I'd say? Love heals many wounded hearts long before we ever entertain any of these ideas, and love at the end of the day, or your life, is always the best medicine for most ailments of conflicting interests, I'd say? The Heart of SARS: 27. You've got to keep the Devil down in the hole. No kidding? What with so many 'easy outs' so to speak, and because we can all see what a big number the global population is replicating up to since the 1970's; its more than doubled. How many more people can the planet sustain? Just because Moms and Dads around the World believe our existence is a good idea, doesn't mean everyone else is of the same opinion. The cost of living has more than tripled since 2000, at least where home ownership is concerned. How can we afford to live and raise families? The answer is some of us can and some of us don't get to access printed money, sadly. Some of us contemplate our lot and make the best of it, while others appear to rip the lid of Satan's crypt and let all Hell fly loose, and there's just about everything in between, including diaper changes. Irrespective of the journey we all arrive at the same destination, facing our funeral song, and its there we'll learn the value attributed to our carbon footprint, whether life has been balanced or not. The Heart of SARS: 28. Don't give up. Don't give up on life, that's for sure. Other things yes, but life, no. So what are the major issues in the World today apart from food, cloths, shelter, peace, order and good governance? What can we do when things turn flat except wait for things to turn up again? Sometimes the most difficult part of any journey is the final push for the prize, so to speak, or sometimes afterwards, getting back to normal and whatnot, as mentioned above. What causes us to endeavor in the unknown inquisitively, searching things out, is a mystery to many people? What causes us not to take on bold endeavors is an acceptance of our lot in life and the constraints imposed by the environment. There'll be times we will encounter challenges beyond our scope to deal with at the time, and we need to let decision making in these instances go to someone with more experience. In some instances its useful to reflect on similar occurrences from the past, to use as a guide in the decision making process? There are other alternatives too. The Heart of SARS: 29. Music paints all paths the same colour and all colours the same path. I must confess at this point that my musical influences emanate primarily from the late 1950's to the early 1970's, then I became a more discerning young adult. Dancing and dance lessons were popular pass times then, and I'm sure thy still are? Sadly, it appears the rockers of the 1960's era vanished into an illusion of sound and light, only to be replaced by someone else's idea of a musical fantasy than the post World War II, 1939 to 1945 entertainment companies, who were trying to restore and instill vitality into a post war era fatigued population. With so many popular, as well as cryptic scales to perform in, and so many time phrases, its my opinion that its difficult to start anywhere other than 4/4 timing with variable populations with a view to synchronicity? Once synchronicity is established, or more simply put, once people have got the basic dance steps learned, then they can go on to more challenging dance moves. A person only needs to look and see what's happened over that past 40 years or so in music to understand why some of us retiree aged folks are shaking our heads, I'd say? Anyway, I'm sure our society will adapt to the music it enjoys and the remainder will fill up storage spaces on data servers around the world, waiting its turn. The Heart of SARS: 30. The Art of Reconciliation. First, people air their differences with intelligent freedom upon an issue they've identified. Then as many people involved with the issue as possible try to sort out a consensus, or reconciliation, if possible, under the circumstances. This image below represents "Global Symbiosis" or "The Unity Of Species" upon Planet Earth? The Heart of SARS: 31. The Art of Love: First you take her, then you hold her. Love, the word, expresses our cell biology's response to a quintessential emotion like no other, I'd say? "Love is the answer" or "Love hurts" are common themes in music and life, and hanging on to love during tough times isn't for the feint of heart, I can attest to that. We radiate our emotions, be it physically or verbally, and attentive listeners using a little deductive reasoning, can usually figure out where someone is at, or coming from, so to speak. On a personal note, a remarkable coincidence occurred in my life recently. Three milestones in my life appeared to occur at the same time that I noticed the intersection of three collector roads, routes 42 and 62 heading North and route 95 heading West in Winnipeg, Manitoba, locally known as 'Confusion Corner.' At the time I was 62 years of age and had been away from home for 42 years. I'd also been married for 33 years, and by adding 62 + 33 = 95, I discovered the remarkable coincidence between the road sign and my life. She said, "I want this to mean something." She said, "I enjoy how your music resonates through me, how your words pull at my heart and rest there. Sometimes it brings tears to my eyes of how I could relate to the words. I like to imagine you wrote these words, that we are connected through song, though our lives would probably never cross. I know I appreciate your songs, mainly because I feel the way your words wrap around me. I just wanted to write this and say, Thank You"
She said, "I'll take care of you." Marjorie Moore said, "Volunteering at Siloam Mission is the ultimate exercise in democracy. You vote in elections once a year, but when you volunteer, you vote every day about the kind of community you want to live in." Olive Garbutt (my mother) said, "Please God Michael." So I guess what I'm saying is, "Don't give up on love, even when it hurts." Please contact Mike Garbutt at: riffvandal@mts.net for information on further use Mike's songs in videos, movies, advertising slogans, musical, ice dance project, project presentation, budget meeting, play or CD and the like , or simply help support Mike, and make a PayPal donation today, thank you.